Readers offer their best tips for uninstalling crapware on rooted Android phones, finding hidden settings in Chrome, and using mobile phone size headsets with your computer. About the Tips Box: Every day we receive boatloads of great reader tips in our inbox, but for various reasons — maybe they're a bit too niche, maybe we couldn't find a good way to present it, or maybe we just couldn't fit it in — the tip didn't make the front page. From the Tips Box is where we round up some of our favourites for your buffet-style consumption. Email it to tips at lifehacker.com.au. On a rooted phone, Titanium Backup can usually uninstall a system app without much issue. For those cases where it can't, there's another solution. Remember, Android is built on a Linux kernel, meaning you can use most Linux commands right in the terminal. So, first you'll want to find where in the system the system app is located. For my example, I'll use Twitter for Android. On my phone and ROM, it was located in /Data/App. Fire up your terminal app. First, enter su to gain superuser permissions. Then enter cd /data/app or which ever directory the app is located. Enter ls to make sure it's there. Then you'll enter rm -rf com.twitter.android.apk where com.twitter.android.apk is the apk of your choosing. This is the delete command with the recursive delete (emptying a directory and then deleting the empty directory) flag as well as the force delete flag. Enter ls again and you should no longer see the apk listed. Enter reboot and you should see your phone reboot. Once rebooted, the app which you deleted should no longer be there. You may have a garbage icon, but all you have to do is delete it and it shouldn't give you any grief. 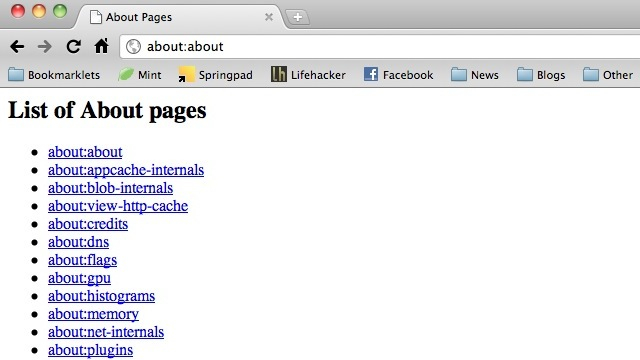 This is probably obvious, but I see a lot of requests for lists of the chrome about: pages. Just go to about:about and they are all there. For those with a wired Xbox 360 controller and the Xbox headset (or any 2.5mm "cellphone size" headset), I found out you can plug it into your computer and then Windows recognises it as a headset for making VOIP calls. It works great with Gmail calling. It even has a hardware switch to mute the microphone. Windows 7 also has a feature to mute other audio when you receive a phone call and Gmail supports this too. I already posted this in the open thread but i think it deserves a mention here. If you liked the minimal Google design you can get a similar experience using Go.Infinise.